On July 20, MyComplianceOffice co-hosted a joint Webinar with guest presenter, Timothy Goodwin of Blue River Partners. The presentation included topics such as fee and expense disclosure, misallocation of expenses and expense shifting. For those unable to attend, we’ve compiled the highlights.You can also download the slides here. 1) No regulations specifically cover fees and expenses. 2) Typical Industry Practice has been to follow the relative benefit practice. 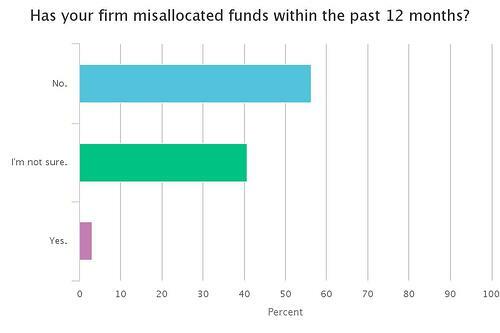 Managers generally allocate costs and expenses directly related to the operation of a fund to the fund itself. Managers generally allocate costs and expenses associated with operating the management entities to the management entities. 3) Enforcement Actions may fall into different categories. 4) What is the SEC focusing on? 5) What’s a Compliance Officer to do? Check the general ledger! And follow the SEC playbook. Review the general ledger to evaluate the reasonableness (both in type and amount) of each expense charged to the Fund. The SEC will do the same. 6) Expense programs display some vulnerablity. 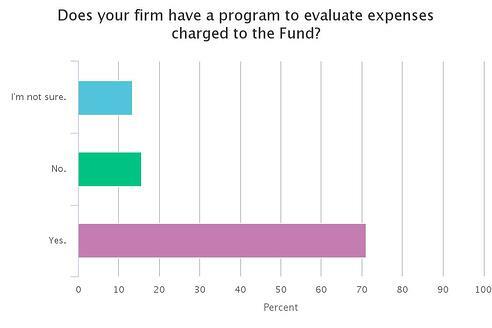 During the Webinar, we polled participants to find out how their expense programs compared to their peers. The majority of firms are displaying appropriate controls but there is room for improvement, if we want to avoid being vulnerable to prosecution. Interested in more Webinars from MCO? Register for our free Webinar "SEC Exam Success with the Ex-Examiners" with Northpoint Compliance on August 17th at 12 pm EST.